How can I deal with loneliness? How can I overcome loneliness? What to do when I am feeling lonely? People have many personal reasons to feel lonely. I have also been through loneliness because I had an awkwardness towards social life. But then everything changed when I adopted ways to improve myself and live a happy life. Some people feel lonely even when they are surrounded by social circles. This happens when they do not share a great bong with that set of people. Every human has to pass the test of loneliness at some point in life. You have to make a plan to cope with loneliness. Nothing will work automatically for you. Overcome challenges, fear and let go the anxiety in you. Treat loneliness as a common problem which you have to deal with. Do not take alcohol support to overcome loneliness. Stop cribbing about you being lonely because cribbing can lead to hopelessness. Never let your hope die. I will give you ways in which you will be dealing with loneliness. 1. Treat Loneliness as a Normal Thing. Do you know? there has been a drastic rise in the level of loneliness. It was 12 percent in the 1970s and in 2010 it was a whopping 44 percent. Real life surveys and study have proven it that loneliness is growing day by day. This happened because of an increased rate in divorce. Fewer family connections, decline church attendance, a decline in family function attendance. People even don't know when their cousins got married. In the early years, people use to take part in all these things. So they developed connections with people and that's the reason why the loneliness levels were so low. You are not alone who is lonely today, there are many people around you which you didn't notice. So treat loneliness as normal and make a plan to overcome loneliness. 2. Create Negative Vibes Towards Loneliness. What has loneliness given you? The answer is NOTHING. It has made your life depreciate every day. You have lost the energy levels in your body due to loneliness. You don't feel active anymore. It affected your confidence level to work on something. It affected your mental state and lead you to depression. So loneliness has done nothing for you. Then why are you letting loneliness get into you? Remember the earlier time when you were happy. You use to roam around with friends have a good laugh and enjoyed your time. So whenever loneliness hits you, try to connect to one person you loved and tell him/her to meet you. 3. Ask Yourself What Makes You Feel Lonely. To change yourself and deal with loneliness. You need to identify the reasons which are making you lonely. 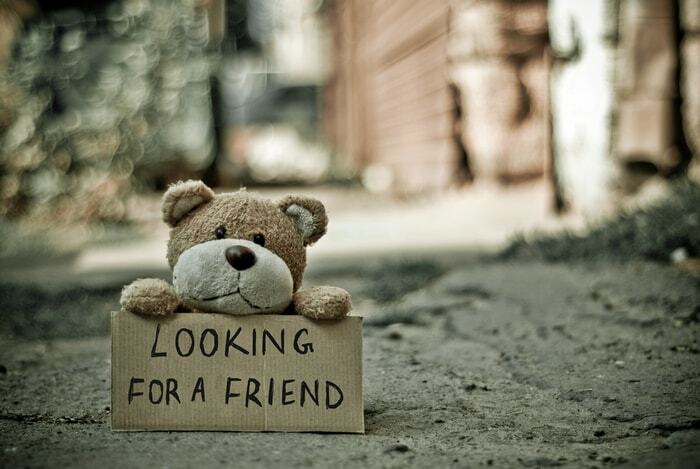 For example:- You are lonely because you are short of friends. You are lonely because you have friends but they don't show up very often or you have fewer connections with them. Loneliness is killing you because you live far from your family. You are feeling lonely because you have shifted to some new country where you don't know anyone. What is the reason? Explore yourself and know why are you feeling lonely. I want you to list down the reason and take action on it to make things right. 4. Stop Negative Thoughts and Loneliness Feeling. Do you know loneliness is a feeling and not a fact? trained to focus more on dangers and loneliness is one of them. It's not that you are being left alone and the world has ended. That you have to accept the fact of loneliness. It's a feeling which can be cured. You have to stop the negative thoughts which you are getting from inside if you want to cope with loneliness. For example:- Talking to yourself on negative points like. What should I do, I think I will be alone always. I think I am ugly and I should stay away from people. What will I do in life I have no plans, no friends and no family. These are some kind of thoughts people get when they are lonely. So be far away from these negative thoughts. 5. Relate Loneliness to Opportunity. If you want to overcome loneliness then you have to treat loneliness as an opportunity. If you relate loneliness to anger, depression, desperation or loser feeling. Then you are going nowhere. I want you to stop relating your loneliness to these things. I know you are lonely that doesn't mean you have to be sad all the time. Try upgrading your self by learning new things. See the opportunity around you which can make you better. Learn what you don't know, spend time in earning money, spend time helping others etc. In this stage, it is very important that you keep your mind calm and stay away from negative thoughts. Meditation can help you in a big way to deal with loneliness. People do not meditate because they are bored of it, I hope you don't give silly reasons to not meditate. When you meditate you ease the feeling associated with loneliness. You cannot learn to meditate by yourself. You need guidance, training, and patience. Find the best meditation class near your area. If there are no classes in your area then I will suggest you go for live online training for meditation. Meditation also improves brain power and concentration. Do not get distracted by your thoughts when you meditate. Focus on only one thing at a time. 7. Talk to a Loneliness Therapist. If you cannot figure out your way in what is making you feel lonely. Then a loneliness therapist can help you cope with loneliness. Google for loneliness therapist near you and you might find few. Read the rating and customer reviews a doctor has. See if the doctor is a licensed mental health professional. Fix an appointment to seek professional help. Talk to your therapist in a very open manner and make him/her understand what exactly you are feeling. Do not try to hide things from the doctor as it might not help in getting a proper solution. There can also be an underlying health condition which you are unaware of. So getting checked is not a big deal. 8. Don't Feel Abnormal, You Are Not Alone. Don't let loneliness make you feel abnormal. It is a part of life and you have to overcome loneliness for your betterment. You should reach out to people you trust and share your feelings/thoughts with that person. There is a possibility where people have already faced what you are facing now. If you need proper guidance I suggest you ask one of your elderly family members. They have seen life and they know more than you. Take advice but do not simply follow what they say. Try to analyze each possibility and then take action. Reaching out to people will make you feel that you are not alone. 9. Move Forward With Courage. Rather than sitting and cribbing about your loneliness. Do things which can help you to deal with loneliness. Explore the hobbies which you like, explore the activities happening around you. Don't be afraid to try new things and meet new people. Many people have a fear of meeting new people because of their past experiences. But all are not the same. Try to understand people who love you. If you do not understand people who love you and who not. You will end up losing nice people. Keep yourself busy the whole day to stay away from the feeling of loneliness. 10. Deal with Loneliness By Being Social. Don't stop yourself from going out and enjoying your time. Try to ask your friends and family member to come with you. If they do not come with you, go alone. Treat yourself with a special dinner, go for a movie, go on a solo trip, try to be a better person by joining volunteering. It's not strange to go alone. First, you might feel awkward. But later you will build up new friends when you go out. Try out few attempts without thinking negative of it. There are many people who go out alone especially women's. They go and have a special time with themselves by shopping or reading a book in a cafe. 11. Get a Pet to Tackle Loneliness. If you are pet-friendly, then getting a pet will help you to cope with loneliness. It is a real struggle when you don't have a companion. Consider adopting a dog, they will give you positive vibes and a feeling of togetherness. Pets are very loyal companion especially dogs. If you win the trust of a dog they won't ever leave you alone. Dogs will keep you rewarding with funny and emotional memories. Adopt a pet if you want to become a responsible owner and you will take proper care. There is less possibility of you making friends when you do not start first. People take time and trust to open up and be friends. It is recommended that you take the first step and invite others to be your friend. You should not wait for people to approach you. When you make new friends remember not be impress them by faking what you are not. Be what you are and try to build new connections. When you connect to people try to pay close attention to what they speak and understand them. Be a good listener to build a great bond. 13. Spend Time with Family. You have a natural bond since birth with your family. A situation may have arisen between your life which made things worse. But if you try to get out of these situations. Your bond can come back. There are ups and downs in every family, this doesn't mean you have to leave your family and be alone. Be the first for trying and approaching a family member. Spend time attending family functions. Plan a lunch with your family and invite other cousins to join in. Be respectful to an elderly family member. However they treat you, you have to respect elderly people's age because they are your family. Going gym on a regular basis will help you get connected to new people. You will form a group of people who will exercise together. Go in the night hours as it is the best time to go to the gym in consideration with loneliness. When you workout at night you will get good sleep because you will be tired of exercising. 15. Work on Your Dream. Everyone in the world has their own personal dream of becoming something and have planned of doing something big. What was your dream which you gave up? Is it launching a good book, is it of becoming a great businessman, is the dream of helping people. Work on your dream which you stopped working on. When you are alone you tend to focus more on what you wanted to do. Your goal is straight and clear as there is no one to interfere. Plan out your first step and start moving forward. 16. Be Kind and Generous. You have to be kind to new people you meet. Kindness will take on a long journey of not being lonely ever. When you are kind and generous to people. People tend to build a great bond with you. You can even impress people with your kindness. We all are born with the same emotions. You give respect to others emotions you will get respect for your own emotions. Power is within you to be kind and generous to people. Develop the skill inside you without bringing a negative thought of the people around you. If a stranger is not being nice to you, you have to adopt the policy of being kind to them. Until and unless it's physical violence. Showing kindness can also put you at a good place in the mind of people. Being kind will connect you to more people which will indirectly help you to cope with loneliness.